Rosamunde Baele (°1990) studied Fine Arts (major Graphic Arts) in Antwerp (Saint Luke) and Brussels (LUCA School of Arts). At the same time, she followed an extra training (of higher degree) of three years in drawing at the Municipal Academy of Leuven, under supervision of artist Marc Raes. After completing her BA in Fine Arts, she studied Art History at the University of Leuven. 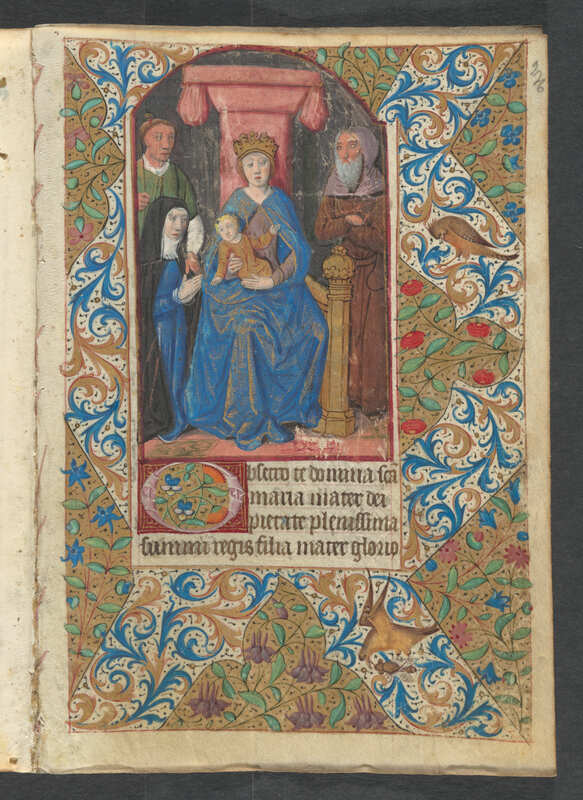 In 2018 she graduated as a MA in Art History with a thesis on a French Book of Hours (Ms. 299, Paris, ca. 1490-1510) from the Museum Mayer van den Bergh Antwerp. In this thesis she focused on a detailed stylistic analysis of the manuscript and its (probable) connection to the so-called School of Rouen, more specific its ties with the circle of the Master of Martainville 183. During her study Rosamunde was an intern at Illuminare – Centre for the Study of Medieval Art, where she worked on the archive of Maurits Smeyers and catalogued his academic work. Since September 2017 she assists Prof. Dr. Lieve Watteeuw with different manuscript projects, e.g. Louvain Illuminations, Inside Illuminations, the Codex Eyckensis, the Rhyme Bible of Jacob van Maerlant and a Flemish prayer book (Ms. 301) from the Museum Mayer van den Bergh.